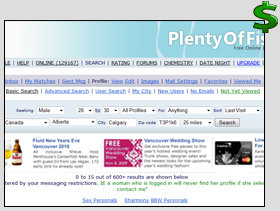 On Tuesday, May 29th at 2pm EST, NDemand Affiliates is providing their affiliates with a free webinar on how to maximize their profits from leading dating site PlentyofFish.com (POF). The webinar will hosted by Ben from POF and will be held on Skype. Ben and NDemand staff will also be available to answer any POF related questions that affiliates have during the webinar! Known as the “Network that Never Sleeps” due to their affiliate managers seemingly around the clock availability, NDemand Affiliates has a minimum of 900+ campaigns available daily. NDemand has a wide variety of offers from medical to insurance to dating and has many exclusives. NDemand prides itself on strong customer service and all staff members are always available via IM, phone or email. Net 30, bi-weekly and weekly payment schedules are available at NDemand. To sign up for the webinar, you must use Skype. Please visit http://www.skype.com to download Skype. Once you have Skype installed, please email your Skype username to [email protected] Tony will then send you instructions on how to access the webinar.